Tearing up the rule book, reaching beyond traditional jazz and coffee table conformity, this innovative quartet fuse hip-hop, afro-beat and electronic music to create "tomorrow’s music, tomorrow’s sound." 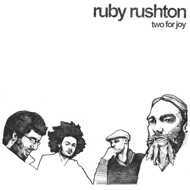 Ruby Rushton’s debut album “Two For Joy” was recorded in 2011 - deeply personal instrumental compositions fuelled by a love of Coltrane, Yusef Lateef and Fela Kuti to more contemporary artists like Slum Village and Sa-Ra. The four-piece are led by Ed Cawthorne (aka Tenderlonious) who plays saxophone, flute and percussion alongside drummer Yussef Dayes, trumpeter Nick Walters and keyboard player Aidan Shepherd.